comprehensive team approach to all of our clients. The collaboration of our experienced executives, together with the leadership of our boards and the abilities of our resident managers have resulted in productive and well operated buildings. When working together to accomplish a purpose, building policies are formulated, structural and financial issues get addressed and practical solutions are reached. At Maxwell-Kates, Inc. we find that teamwork, expertise and commitment to our clients are vital components to the success of our managed properties. Our up to date technological resources as well as the extensive real estate background of our management team, provide our boards with information so they are able to make educated and informed decisions. At Maxwell-Kates, Inc. we use the most up to date and sophisticated technologies available to manage your building as effectively as possible. However, it is our philosophy that, even more important than the technology, servicing our clients is best accomplished by an organization that is built on family values and relies on team work to accomplish our goals. As co-owners of the firm, we share the same office, at facing desks, discussing and solving problems together. We have an open door policy at all times, which encourages our employees to come in and discuss any problems they might be facing, whether business related or personal. By creating one cohesive unit, like a family, we provide the highest level of service to meet our clients’ needs. When Maxwell-Kates was founded in 1986, the principals, Robert Freedman and Eugene DeGidio knew they wanted to create a new kind of real estate management firm. They envisioned a firm devoted to service, teamwork and collegial relationships. As a confirmation of the effective execution of this vision, Maxwell-Kates currently manages over 12,000 units in over 130 buildings. From day one, any time a client from a Maxwell-Kates managed building contacts the office with a question, they will receive a prompt and appropriate answer. This approach of expedient service is and has always been a company wide policy and is always to be anticipated. Should the building’s manager be unavailable, another knowledgeable member of the staff will provide a suitable answer. Whether it is a request to the building manager, the accounting department, the transfer department, or any other department at the firm, there is always an individual available to help provide a quick and appropriate response. Due to this strong sense of accountability and teamwork, there is never a wait for a solution or a response to any question. Prior to forming Maxwell-Kates Inc. in 1986, Robert Freedman and Eugene DeGidio were Managing Director and Financial Vice-President with Sulzberger-Rolfe Inc, one of the largest corporate real estate management companies in the New York Metropolitan area from the mid-1970’s to the mid-1980’s. Robert and Eugene oversaw a portfolio of approximately 200 buildings consisting of close to 30,000 apartments including some of the newest and oldest luxury residences in New York City. Robert and Eugene were involved and instrumental in the transition from rental to cooperative and condominium housing. They were and are considered today, two of the leading experts in this complex and ever evolving service industry. In April 1986, after eleven years with Sulzberger, Robert and Eugene left to form Maxwell-Kates, Inc. Maxwell-Kates recruits experienced, talented and motivated professionals to join this unique organization dedicated to managing their properties in the most professional, sophisticated, and economical manner possible. The teamwork, expertise, pride in their accomplishments and continued commitment to each other and their clients are second to none and vital components in the success of this wonderful firm. A major part of our responsibility to our clients is to provide a level of service where no detail is overlooked and all issues are anticipated and handled promptly. Facilitating this, our Account Executives are supported by skilled associates and together they oversee every detail of your building operations to ensure suitable staff performance, quick initiation of Board directives, and the financial health of your building. Maxwell-Kates’ experienced Account Executives pride themselves in their close relationships with Board Members. The Maxwell-Kates management team provides our Boards’ with a wealth of experience to help Board members make appropriate decisions. Once decisions are reached, Maxwell-Kates takes all steps to implement the Board’s directives expeditiously and effectively. Your Account Executive will attend all monthly meetings. The agent will prepare the agendas for the meetings, and, if requested, the agent will prepare and maintain the meeting’s minutes. When appropriate, other members of the Maxwell-Kates team will also attend meetings, including the principals of the company, physical plant specialists, in-house counsel, or a member of our financial department. Our internal communications systems is set up so any inquiries whether they be by telephone, e-mail or written correspondence from either Board members or residents of your building, are handled as quickly as possible, if not immediately. Maxwell-Kates recognizes the importance of safety and security and therefore devotes substantial time to this issue in managing our client’s properties. We work with Boards, residents and staff to ensure that there are no breaches of security. At several of our clients’ buildings, we have initiated and installed computer monitored card operated locks on all doors, including the front entrance, the laundry room and the storage rooms. 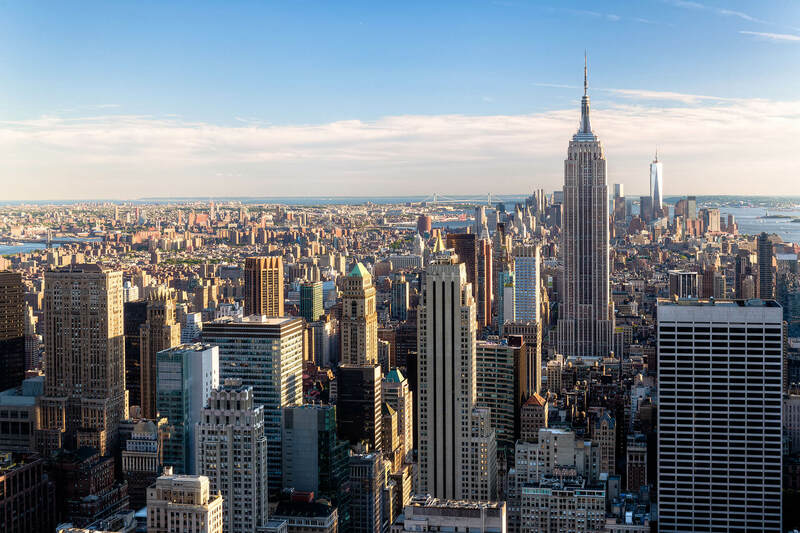 Maxwell-Kates also ensures that all residents are advised of all New York City safety regulations and strives to provide them with all available safety tips. We also work with building staff and boards to create extensive security, safety, evacuation and emergency procedures. Maxwell-Kates, Inc.’s In-House Counsel provides support to our staff in revising contracts and letters and making recommendations to our clients, as well as keeping our staff and clients up-to-date on changing laws, regulations and requirements. In addition, our In-House Counsel oversees our Ethics & Compliance Department, as well as handles important administrative activities involving building laws and codes, which allow the building Account Executives/Property Managers/Administrative Assistants, and their staffs to concentrate on the physical plant, building and staff union issues, fiscal and budgetary matters, and resident concerns. Maxwell-Kates, along with the Board and corporate counsel establish stringent policies to ensure that monthly maintenance and common charges are paid in full and on time. Managers work with our accounts receivable department to ensure that these obligations are paid on time. In the case of late payment or non-payment, our managers, in-house counsel and financial department communicate with unit owners/shareholders to obtain payment as quickly as possible. Maxwell-Kates maintains a lock-box system with North Fork Bank. Your resident’s monthly payments are deposited directly into your building’s account. Each account is entirely segregated to ensure that there is no commingling of funds. Maxwell-Kates initiated an ACH Debit system that allows our residents to pay their monthly maintenance/common charges directly from their bank accounts. This system authorizes our accounting department to withdraw the funds directly from the resident’s bank account. On the fifth business day of the month the funds are withdrawn from the resident’s bank account and the resident’s maintenance account is credited for the payment. This ACH Debit program is a great benefit to our residents because it allows those who travel extensively to avoid the monthly problem of paying maintenance and further ensures that payments by all those on the system are timely, so long as the funds are available in the account. In addition, Maxwell-Kates, Inc. has implemented a new online payment program, which will provide your apartment owners/building residents with a new and convenient method to pay their monthly Cooperative / Condominium charges. This online payment program will operate through Maxwell-Kates’ lead bank and can be accessed through our company website. This new payment program will allow apartment residents in Maxwell-Kates managed buildings the ability to manage and pay their monthly charges online. Our in-house accounts payable department prepares checks daily, allowing Maxwell-Kates to pay all bills as soon as payment is authorized. There is absolutely no delay between the authorization of payment and the check being prepared. If your Board desires, we can require dual signatures on your building’s accounts. Our in-house accounting department is fully computerized and provides payables, maintains a lock-box system and direct debit program, weekly payroll, monthly reporting and annual budgeting and tax services. The Maxwell-Kates management team and accounting department work together to prepare and submit annual budgets to the buildings we manage no later than 60 days prior to the commencement of the fiscal year. Upon Board approval, we endeavor to stay within the parameters of the budget. We review the monthly statements and deliver them to the Board members each month so that all parties concerned can track the year’s financial progress. Our accounting department works in conjunction with your accountant throughout the year and provides all information necessary to prepare your year-end financial statements. Maxwell-Kates Account Executives consistently review all work orders, purchase orders and bills for accuracy, and negotiate with vendors if we believe that any client is not receiving the best price possible. Our agents strive at all times to limit expenditures yet still preserve optimum building services. In addition, our managers negotiate on behalf of all of our clients in regard to receiving the most advantageous terms available when refinancing the underlying mortgage, customarily a large fixed cost for cooperatives. At Maxwell-Kates, Inc. we have long recognized that two of the cornerstones of successful real estate management services are immediate access to reliable information and efficient communication between our staff members and clients. To deliver these premium level services, we continue to invest in proven, up-to-date technology. Our systems provide highly reliable, integrated communications services that connect mobile employees and on-site management offices to a central location where they can access the information they need at any time to maximize service to our clients. Our systems provide company-wide access to collaborative information such as calendars, e-mail, contact information and company documents. In addition, clients can have immediate access to appropriate documents as soon as they are available, for example, their monthly financial reports, without the need for any hard copies to be generated, brought to the building, and then stored. • Full back-ups of your files are performed daily to minimize the possibility that any information is ever lost. Maxwell-Kates utilizes “MRI” real estate software to help maintain the financial assets of our clients. MRI is a division of “Intuit Corporation” and they are a leading provider of information systems to real estate management firms worldwide. MRI software is a powerful and flexible system, which contains a vast reporting library and gives us the flexibility to quickly and easily modify reports to the custom needs of our clients. Maxwell-Kates is very proud of our ability to achieve the best possible results for our clients. We strive to continually re-assess their needs in order to create solutions that resolve issues and improve their quality of life. Take a look. • When a 250-unit coop was locked into an underlying mortgage with a high interest rate, we used our influence to convince the bank to refinance the mortgage and to forgive a $ 350,000 prepayment penalty. • After we took over management from a sponsor run co-op that had negative cash flow, the manager determined that this problem was due to ineffectual staffing. Their bills for maintaining the common areas were extremely high. A decision was made to hire staff with relevant experience in proper building maintenance and this lowered costs and the building finally had a positive cash flow. Maxwell-Kates, Inc., is one of the leading real estate management companies in the New York and New Jersey area since 1986. Providing a vast portfolio of clientele with full service management solutions, Maxwell-Kates continues to carry out its tradition of managerial expertise, innovative techniques, and corporate integrity. Maxwell-Kates is pleased to partner with BoardPackager to provide paperless building documentation. Please click here to view our building portfolio, download documents, apply online and more. The following is a partial list of public websites pertaining to various issues affecting Cooperatives and Condominiums which you may find helpful. This is the Maxwell-Kates, Inc. online News section. Below you will find a selection of important articles and newsletters that are available for download or online viewing. Feel free to contact us with any comments, questions or concerns that you might have, and we will do our best to accommodate your needs. Maxwell-Kates, Inc. has expanded in its real estate services to include its new division, MKI Insurance Brokerage, Inc. Equipped with long standing relationships with leaders in the insurance industry, be assured you will receive the most desirable and comprehensive coverage at the most competitive rates. Through aggressive marketing and negotiating techniques, MKI Insurance Brokeage Inc. will interview brokers as well as carriers to obtain the best possible package that suits the needs and expectations of our clients. If you would like more information regarding our insurance affiliate, please contact Max Freedman at (212) 684-8282, extension 6656. To adequately insure your apartment, it is important to know what structural parts of your home are covered by the condo/co-op association and what are not. You can do this by reading your association’s bylaws and/or proprietary lease. If you have questions, talk to your condo association, insurance professional or family attorney. Sometimes the association is responsible for insuring the individual condo or co-op units, as they were originally built, including standard fixtures. The individual owner, in this case, is only responsible for alterations to the original structure of the apartment, like remodeling the kitchen or bathtub. Sometimes this includes not only improvements you make, but those made by previous owners. In other situations , the condo/co-op association is responsible only for insuring the bare walls, floor and ceiling. The owner must insure kitchen cabinets, built-in appliances, plumbing, wiring, bathroom fixtures etc. Ask your insurance professional about the following additional coverages. If you live in an area prone to these disasters, you will need to purchase separate flood and earthquake policies. Flood insurance is available through FEMA’s National Flood Insurance Program. Both flood and earthquake insurance can be purchased through your insurance agent. In most cases, you want to insure your dwelling and its contents for their replacement values, which will likely differ from the dwelling’s market value and your personal property’s depreciated cash value. You should also probably get a policy with automatic inflation adjustments so that the replacement costs keeps pace with the general level of price increases. When purchasing insurance, it is important to find an agent or company that specializes in condominiums or co-ops. Also don’t forget to ask about all available discounts. You can reduce your rates by raising your deductibles and by installing a smoke and fire alarm system that rings at an outside service. If you insure your unit with the same company that underwrites your building’s insurance policy, you might also get an additional reduction in premiums. Maxwell-Kates, Inc.’s Solution Department has partnered with Resolution Consulting Group to use our bulk purchasing power and their expertise to provide natural gas and electric pricing at significant savings to the market with the greatest flexibility; the ability to lock-in rates for various periods of time; take advantage of the savings without locking in long-term rates; etc. This program and the savings are only available to Maxwell-Kates, Inc. managed properties and is another way we add value to the properties we manage. Maxwell-Kates, Inc. is committed to assisting the properties we manage conserve energy, reduce their carbon footprint and manage the cost of energy in the most efficient manner possible. Energy conservation and efficiency of operation are environmental pluses and have an immediate impact lowering operating expenses and increase the value of each individual apartment. We hope you will participate in this new program which may lead to savings for your building. If you would like further information about how this could benefit your building, please contact your Account Executive that you are interested in Utility Pricing with MKI Solutions. (Visit our News and Links Section on our website for information in our Newsletters). Maxwell-Kates’ Solutions Department’s goal is to save costs and increase energy efficiency. Our team is currently reviewing the EPA’s Energy Consumption Benchmarking Program that will be implemented as of May 2011. This program will include entering all energy data for multi-family properties 50,000 square feet or larger. Failure to comply with the new energy benchmarking and energy auditing requirementswill result in violations which will subject buildings to fines. The MKI Solutions Department will oversee the management of this important program for the properties in our portfolio. For further information, please contact us on how our MKI Solutions Department can better service the needs of your Cooperative and Codominium.